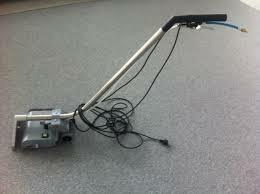 Carpet Cleaning Harrow – we put lots of good stuff into your carpet to get all the bad stuff out. The latest steam technology, safe but effective cleaning solutions and years of expertise in cleaning every type of carpet are among the many good things that Carpet Cleaning Harrow puts into the task of cleaning your carpets and upholstery. Carpets are often ignored because they lie underfoot, so we don’t notice how much dirt they can accumulate. 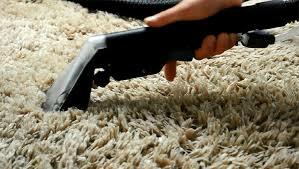 Especially in our Harrow weather, carpets act as magnets to a whole host of nasty things such as dirt, bacteria, dust mites, dead skin and remnants of food and drink spills, a lot of which can’t be removed by regular vacuum cleaning. Carpet Cleaning Harrow’s affordable and effective carpet cleaning service is designed to lift out the tiny particles and micro-organisms that are lodged deep in the fibres of your carpets. After a visit from the Carpet Cleaning Harrow team, you’ll notice a difference in your carpets. More importantly, you’ll be assured that your carpet is part of the clean and safe home that your family deserves. If you’re like most people, your carpets aren’t being cleaned as regularly as they should be and this is partly due to misconceptions that professional carpet cleaning is a pricey, complicated task. Our customers, on the other hand, know that they can depend on us for the most competitive prices on first-rate cleaning services. Having specialized in carpets and upholstery for many years, we’ve become experts in cleaning technology. Our experienced cleaning specialists are trained to remove dirt and stains from all types of carpets, including acrylic, nylon, cotton, wool and silk, using the most effective steam-cleaning equipment and solutions available in the industry. *The costs above are valid about Harrow. They include the required labour (cleaning hours). If additional time is needed, then supplementary costs will be applied. Minimum charge applies. Quotes over the phone are formed based on the supplied information. Call us today and we’ll arrange a Carpet Cleaning Harrow team to visit your residence, assess the condition of your carpet and let you know how exactly how we can improve it. Then, we’ll set to work on restoring your carpet to its original state of beauty and hygiene. The steam-cleaning of carpets involves a high-pressure infusion of detergent and hot water into your carpet to thoroughly cleanse all the dirt trapped deep within. As the cleaning solution is drawn back out of the carpet, the stains, micro-organisms and dirt are removed with it, leaving your carpet clean and restored. Special fabric conditioners in our cleaning solution also keep your carpet and upholstery looking new for much longer. Since carpeting is quite expensive, regular steam cleaning protects this investment whilst also protecting the health of your family. The cutting-edge technology we use lets us deliver our services quickly and efficiently and helps us keep costs down for our customers. Hundreds of Harrow homes have experienced the difference that Carpet Cleaning Harrow makes to carpets and upholstery and we are certain that you, too, will be just as satisfied. In fact, we are so confident in the quality of our services, that we’ll give you a 100% satisfaction guarantee. Call Carpet Cleaning Harrow and let our friendly, professional cleaning technicians show you why we are the most trusted carpet cleaning service in town.